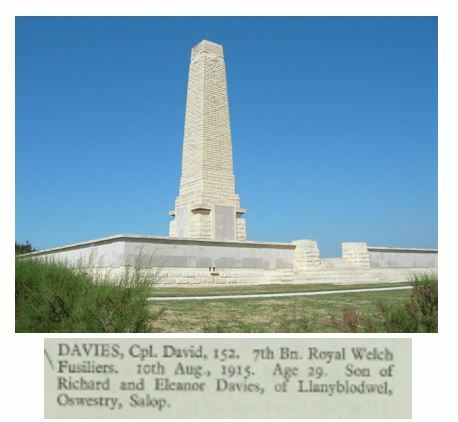 David Davies was born in 1887 in Guilsfield, Montgomeryshire, the third child of Richard and Eleanor Davies. Richard worked as an agricultural labourer and in 1891 the family were living at Ivy Cottage, Llanyblodwel. By 1891 many sub Post Offices had opened in small villages, working in conjunction with the larger town offices and the 1901 and 1911 censuses show that David’s mother Eleanor, had become the postmistress in Llanyblodwel. David also decided to take up a career with the Post Office. Each day, he would have arrived for work early, to help sort the post, then he would have started out on his delivery route. As the Post Office Surveyors were keen to include as many people as possible in the delivery, this route would have been carefully chosen and there was a strict timetable to be adhered to. He was not supposed to carry more than 35lbs. in weight but this limit was not always observed. When not working for the Post Office, David was involved in many aspects of local life. On Sundays, he would sing in the choir at Llanyblodwel church and he also became a member of the Territorial Force which was an army of volunteers formed in 1908 to support the British Army. For several years he was attached to ‘C’ Company of the 7th Battalion of the Royal Welsh Fusiliers, training around the Welshpool, Llanyfyllin and Llansantffraid area. On his promotion to the rank of Corporal he was transferred to ‘B’ Company, training at Newtown. The Territorial Force was originally designed to serve only in this country, but on the outbreak of WW1, members were given the option of serving in France; David opted to serve abroad. 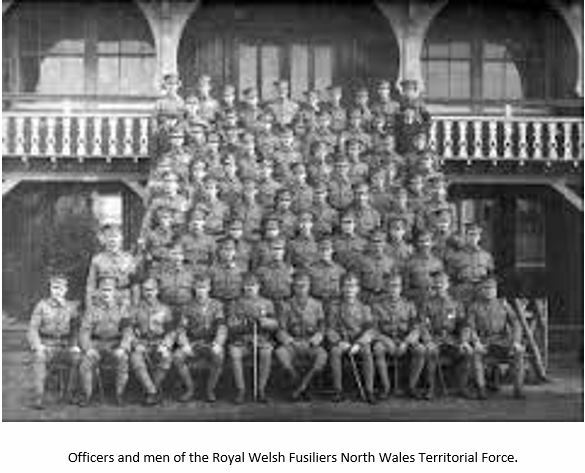 The 7th Battalion of the Royal Welsh Fusiliers was now to form part of the 53rd (Welsh) Division which moved firstly to Conway and then to Northampton at the end of August. On 18th November the Division received warning that they were about to embark for India, but a week later this was cancelled and in December David found himself moving to Cambridge. On the 11th February 1915, the Division was inspected by King George V and 3 months later it moved to Bedford. Finally on 2nd July new orders came through; the Division was ordered to refit for service in the Mediterranean. On 19th July, David boarded a ship at Devonport. 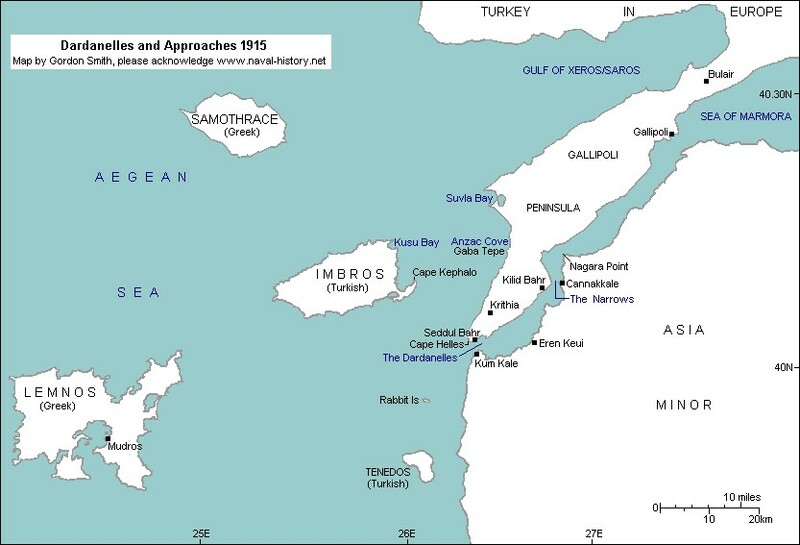 He sailed past Gibraltar on 22nd July, past Malta, Alexandria and Imbros before landing at Suvla Bay, Gallipoli on the evening of the 8th August. The bay itself was overlooked by a series of small hillocks and the ground was covered with scrub and rocks, making movement difficult. The Turkish forces, opposing them, put up a stiff resistance and in the course of the fighting on the 10th August, David was killed. His name is recorded on the Helles Memorial which stands on the tip of the Gallipoli peninsula. It takes the form of an obelisk over 30 metres high that can be seen by ships passing through the Dardanelles.